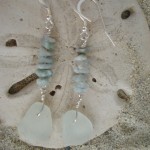 White Sea Glass and Aquamarine Earrings. 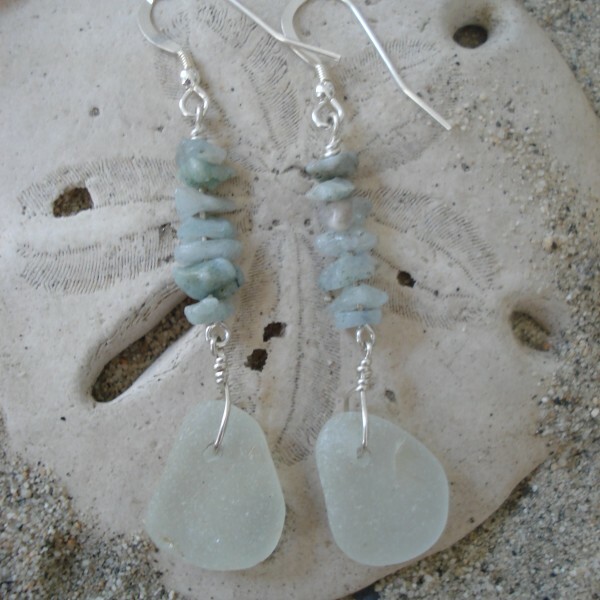 These dangly earrings are subtle and alluring. 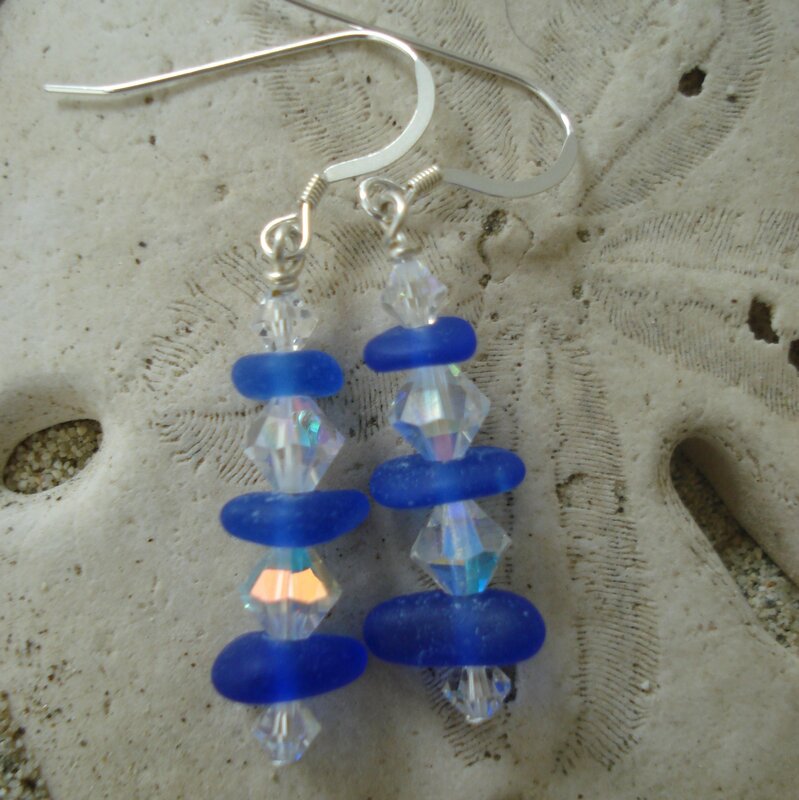 Length of dangle is about 2″. 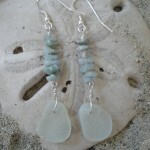 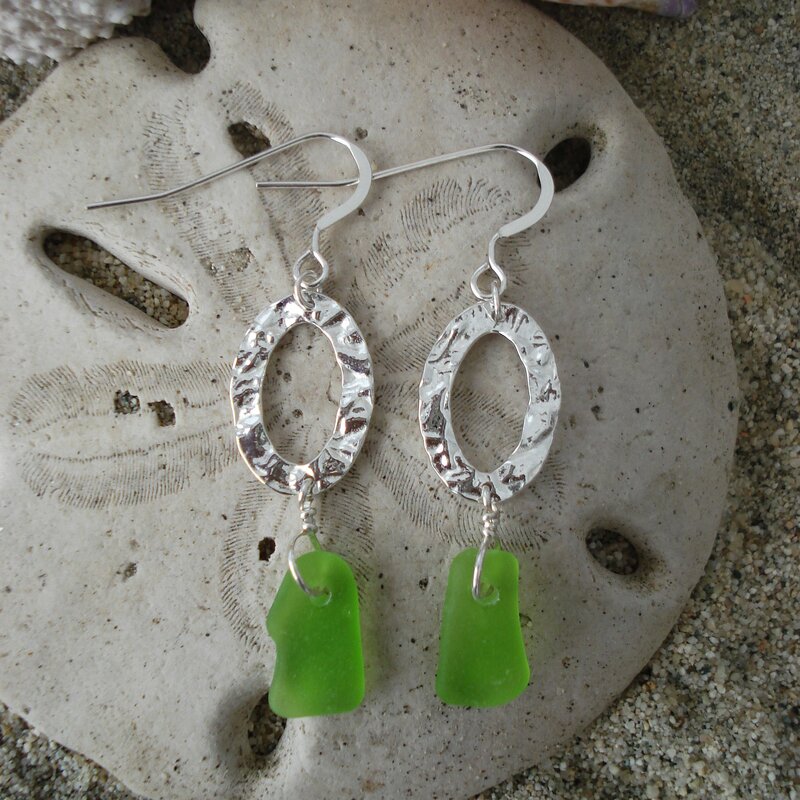 Sterling silver French hooks and sterling wire were used to create these sea glass earrings. 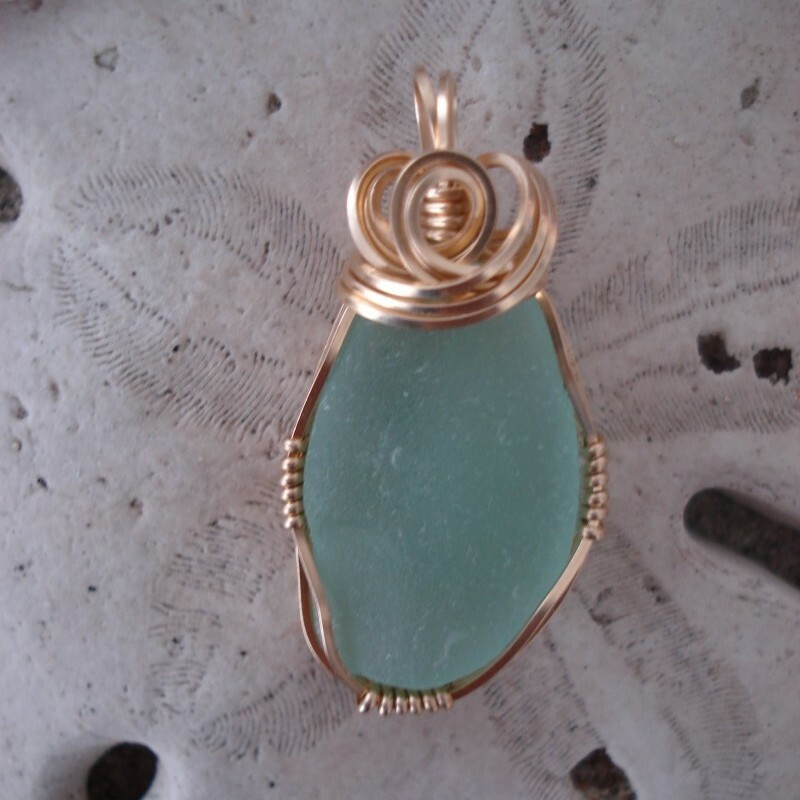 Note how well the white sea glass pieces match – hard to find and do.